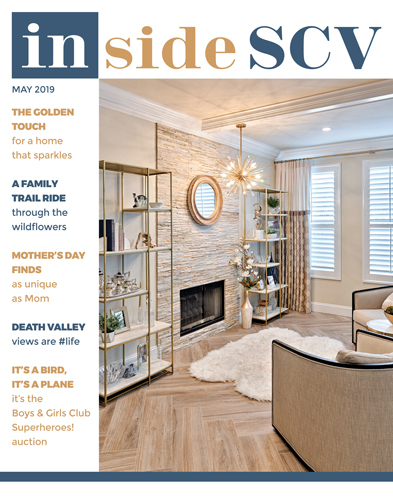 New updates, rejuvenated spaces, improved function - this is the summer of "get it done" - and here's how to do it. 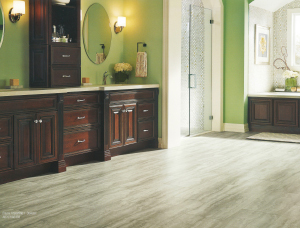 Luxury Vinyl Tile is a Hardwood & Stone "Stunt Double"
Luxury vinyl tile creates stunning floors that are meticulously designed to look like hardwood or stone - plus, they're built to endure the busiest lifestyles. From time-worn wood to modern marble, enjoy nature's diverse beauty throughout your home - in the kitchen, bath and beyond. 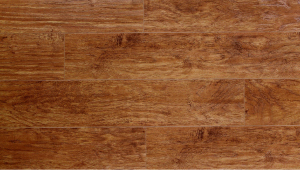 Naturally inspired and practically designed, Armstrong's waterproof Luxe Plank looks and feels like hardwood - but better! After grads collect their stand-in diploma, have the fun parties and stash the sashes in a drawer, the actual degree certificate arrives in the mail about a month later. 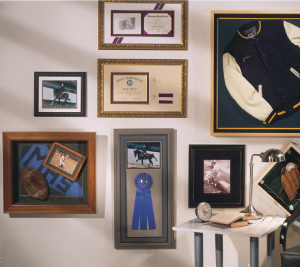 Treat it with the same level of pomp and circumstance by having it professionally framed with acid-free and "UV" protected materials meant to last a lifetime. There are many ways to "freshen up" an older home. 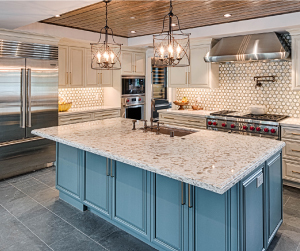 For example, you can update kitchens and baths by using timeless materials. In bathrooms, use stone or tile that looks like stone. Bathroom mirrors? Less is more. Pare down the size and frame mirrors to match the cabinet/vanity. Lighting is important. Replace fluorescents with sleeker LED recessed lights and add a wall sconce or two. Hoping for a chandelier-type fixture in the bathroom or dining room? These are difficult to get right; sometimes it is better to let a designer help. 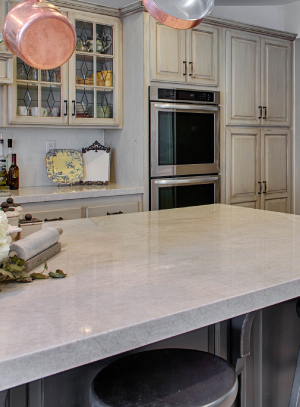 And, of course, kitchen counter tops are all going solid surface - quartz or granite, with no grout to maintain. Next thing you know, that dream of a fresher look has become a reality! The Santa Clarita Valley Water Agency (SCV Water) and Los Angeles County Waterworks District #36 continuously work to ensure you and your neighbors have a reliable supply of high-quality water at a reasonable price. The State Water Resources Control Board Division of Drinking Water requires water agencies to provide all customers an annual report on the quality of drinking water and to show how it meets federal and state drinking water standards. This 2018 Annual Water Quality Report - also known as the Consumer Confidence Report - describes in detail the quality of local water supplies in the Santa Clarita Valley during 2017. There is an additional explanation of the requirements and test results in the report. Due to a change in the law and a desire to save our ratepayers money, SCV Water is posting the report on its website and mailing notices of its availability to customers. To view the 2018 Annual Water Quality Report, visit yourscvwater.com/wp-content/uploads/2018/05/2018-SCV-Water-Quality-Report.pdf. Paper copies of the 2018 Water Quality Report can be obtained by contacting SCV Water or your water retail division identified in the report. Handscraped hickory hardwood floors offer a variety of homeowner-approved benefits, including a gorgeous patina that provides stunning natural variations for an organic look that wears beautifully. Hickory is a very dense species, with a Janka hardness rating of 1820, so you know it will stand up to the comings and goings of you and your crew. Right now, it's on sale for $3.99 a square foot. 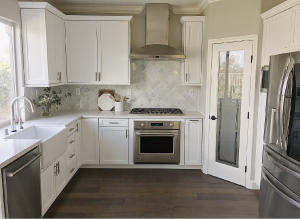 Brand-new, fresh custom cabinets manufactured locally, painted in a white lacquer based finish and accented with sleek modern handles earn this rejuvenated kitchen a double take. Quartz countertops with simple grey movement and a marble herringbone backsplash helps the previously-dated design come together. New hardwood flooring with an open-grain finish in a darker grey color adds a nice pop of color to this otherwise neutral space. Originally, the room was home to oak cabinets, tile countertops and dated appliances. Now it even has a walk in pantry! Tired of having to call a contractor or home-improvement specialist every time you want to change the look of something in your house? Homeowners like you are flocking to Refined Vintage Boutique for hands-on workshops that transform you into a DIY master, with practical advice and plenty of opportunity to try out different techniques and products. At the heart of the DIY revolution is Annie Sloan's Chalk Paint, a brilliantly-beautiful product line that is easy to use and requires little to no prep. Here's how you can use it to totally change your home - no painting contractor required. Cabinets Don't go to the expense and mess of replacing your kitchen or bath cabinets. Update your look with paint and wax - no matter what they were originally painted or stained. Touch ups are easy, too. With little to no prep, because Chalk Paint sticks without primer, you'll have a totally-new look without VOCs or odor. Home Accessories Even lamps can be revitalized with the right paint and techniques. A quick application of Annie Sloan Chalk Paint can illuminate a whole new look. Furniture Have the perfect piece that fits just right - but the color's off? Update it easily with the guidance of the pros at Refined Vintage Boutique - or they can do it for you.